After many weeks of beta testing (both developer-only and public), Apple is today releasing the finalized version of iOS 10.1. The latest update for the company's mobile operating system has the usual assortment of bug fixes and performance improvements that you'd associate with a .1 release, but it does also bring one big new feature to the table. If you have an iPhone 7 Plus, iOS 10.1 will enable Portrait Mode for its rear camera. This feature was presented last month when the new iPhones became official, but it didn't ship with iOS 10. It essentially lets you add bokeh to your shots. Since that's best used when capturing images where people are in the foreground, Apple thought "Portrait Mode" was a fitting name. With this mode on, the software will automatically blur the background in such pictures, letting the person (or animal) you're capturing stand out that much more. 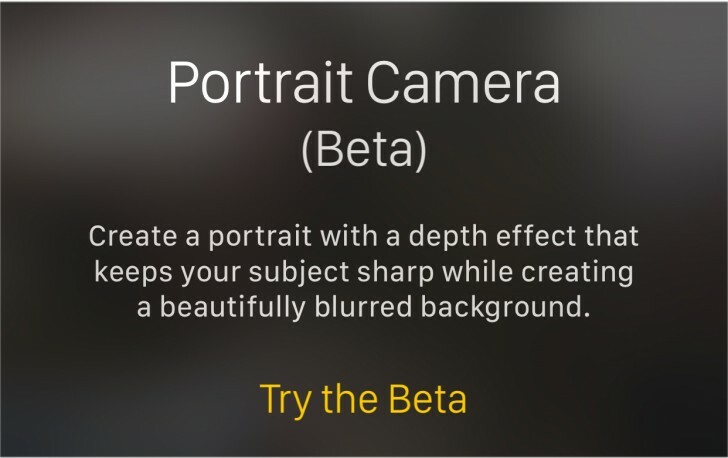 Do note that Portrait Mode is still labeled as being in beta, so your mileage while using it may vary. Anyway, it's an option now, so if you don't like bokeh, maybe stay away from Instagram in the next few days. One final consideration: Portrait Mode is only available on the iPhone 7 Plus because it uses its secondary rear camera sensor to create that effect. Of course I've read how this works, but still a single camera Lumia will do just that, easily. I don't think you've read how this mode works, otherwise you wouldn't spout such ignorant nonsense.